Mukherjee will arrive by a service flight at 4.50 pm tomorrow (June 6) and stay at state governor’s’ house (Raj Bhavan). 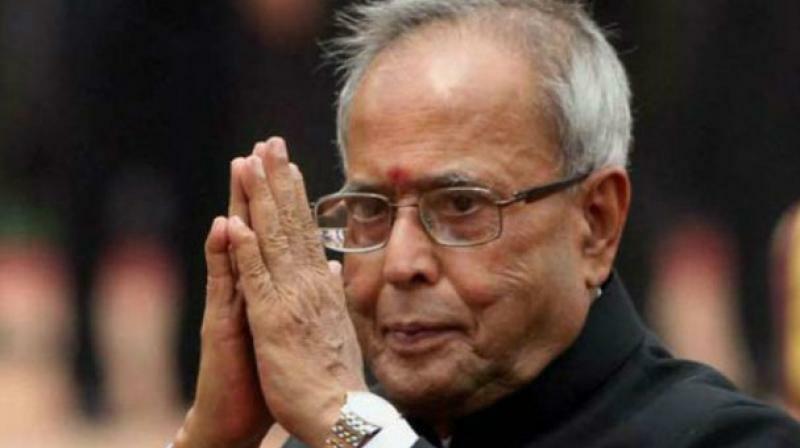 Nagpur: Former President of India, Pranab Mukherjee who will be chief guest for the valedictory function of third-year course of the Rashtriya Swayamsevak Sangh (RSS) on June 7, will be arriving here a day in advance. Mr Mukherjee will arrive by a service flight at 4.50 pm tomorrow (June 6) and stay at state governor’s’ house (Raj Bhavan). Though his acceptance of RSS invitation to address the swayamsevaks on June 7 has kicked a controversy within the Congress and attempts were made by few individuals to discourage him from participating in RSS function since he served Congress and his association with the party is nearly five-decade-old, but unperturbed by the reverse comments, he had earlier said he would reply to the criticism in Nagpur speech. Mr Mukherjee is scheduled to attend the function at 6.30 pm on June 7 and address the gathering. RSS chief Dr Mohan Bhagwat will as usual deliver his main speech. Mr Mukherjee will stay back in the city and on June 8, he will return to New Delhi again by a service flight at 1 pm. The stage is set for the annual function and it will be for the first time attended by a former President of India. Dr Bhagwat had extended his invitation to Mukherjee sometime back in Delhi and he readily accepted surprising the then party colleagues.Congress has not officially reacted to his visit to RSS but a former Union minister Jairam Ramesh dared to write him a letter suggesting cancellation of visit.